How long has your writers group been running, and can you give me a potted history? BWWG was founded in 2001 by Chloe Trindall, from Australia. We have been meeting every second week ever since in an unbroken line. When Chloe returned to Australia with her Thai husband, the group was led by Canadian journalist Lois Ann Dort. In 2007 I was elected leader. In the same year we launched our first short story collection, Bangkok Blondes, published by Bangkok Book House / Booksmango. It was widely promoted in the press and on TV in Thailand and Malaysia, and became a Thai English-language best-seller - it is still available in bookshops. Bangkok Blondes is a collection of vignettes about life experienced by women from many different parts of the world who live and work in Bangkok. It avoids predictable, clichéd subjects, and shows international life in Bangkok as it really is, on ordinary as well as on extraordinary days. We have also published two pamphlets which are collections of short stories, poems and excerpts from longer works: Bangkok, Boston, Brattleboro – Alien Pens on Familiar Places (2008); Listening – Midnight Confessions of Cunning Scoundrels (2012). In 2013 we gave a presentation at the International Conference on ASEAN Literature. Now, of course, we have published Monsoon Midnights! We successfully launched at the British Club, Bangkok, on 14th December. Do you think of the group as a club? How many members do you have? BWWG is an ad hoc group of female writers living and writing in Bangkok. We are not a club, not affiliated with any kind of institution, and we have no formal structure. Every meeting re-constitutes the group as a living organism. Very often, such informal groups don’t last very long. When the original constellation of members dissolves, the group disappears. But this has not happened to BWWG which has shown remarkable staying power, despite many members moving away. We currently have a mailing list of 200 members. BWWG has had a succession of very different meeting places. The first meeting I joined was in a bar in a notorious area. Later we moved around various cafés - writers need coffee shops! Right now we have a quiet and very central meeting place in the Emporium shopping mall overlooking Benjasiri Park. We meet every second Tuesday when we each bring in a piece of writing no more than three pages long. The writer hands out copies of her story and we read and workshop the piece, in a supportive and inspiring atmosphere. Our discussions are lively and there is a lot of laughter. We ask questions and disagree. But most importantly, BWWG operates on a basis of mutual respect. Our philosophy is that every writer is an individual and has her own unique style. Many writers’ groups have a tendency to standardise the kind of writing they prefer according to an often unconscious group concept. But I believe that this doesn’t serve the writers. Each writers need to find and develop her unique voice. BWWG is very diverse in background, age and nationality. Although we welcome Thai members, the majority of our members are not from Thailand - they come from other countries. Our language of communication is English and the work we bring in is also in English so that everyone can understand it. Do you welcome people new to writing? Yes. We have a great mix of beginners and more experienced writers - including prize winning novelists and poets. We are there for any woman who takes her writing seriously. Even in 2014, women writers still need that extra bit of support. We try to provide it for each other. What are the group’s goals for the future? Let’s see what happens following the launch of Monsoon Midnights. If all goes well we will publish another anthology in about two years’ time. And we will go on meeting every two weeks as long as we can. Writing is hard. I’ve never understood why so many writers’ groups - or worse, so-called critique groups - feel a need to undermine struggling authors, but, before I joined BWWG, I experienced such discouragement countless times. As I said, at BWWG we have nurtured a constructive attitude: we respect each other as writers and try to give useful feedback. Although we often have a lot of fun passionately disagreeing with each other, instead of personal attacks we focus on subjects like narrative strategy, poetry form and function, plot twists, and point of view - things we all can learn from. To me, the group is a big incubator of talent and skill - note the female metaphor. Many members bring in new or revised segments of their novels or poetry collections as they grow, over months or even years. Most of our members stay connected with the group even if they move away. Contact us at bkk_writers@yahoo.com, and follow us on Facebook. 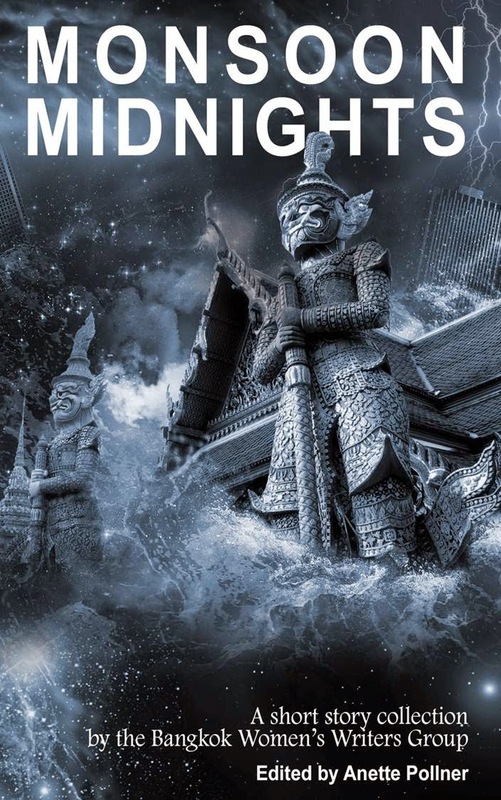 Where can readers buy Monsoon Midnights, and Bangkok Blondes? Monsoon Midnights is available here on Amazon, as a Kindle edition. 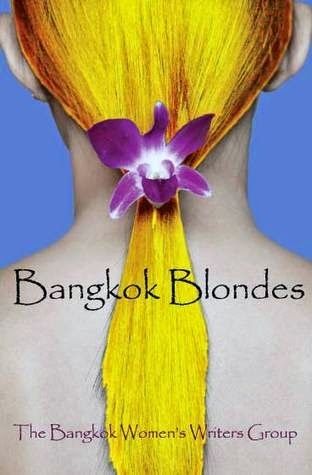 Bangkok Blondes, is available on Amazon here. Either would make an excellent Christmas present.